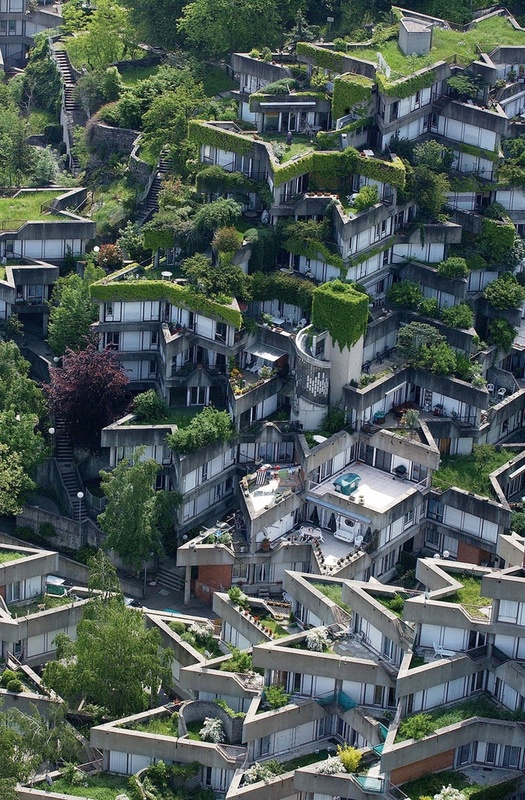 While planning a long awaited tour of concrete council housing in the outskirts of Paris, a powerful ensemble built between 1969 and 1975 by Jean Renaudie and his wife Renée Gailhoustet at Ivry-sur-Seine. These 8 buildings see the architects joyfully play with the plasticity of concrete, fade the limits between public and private spaces, dialogue between natural and artificial materials, and provide a variety of functions that is more usual in an urban scale environment than in a building ensemble. All this without falling in the contemporary modernist clichés of 1950′s and 60′s, so typical in Paris’ banlieu.